In this dress you’ll surely come across as confident and it exudes a bit of cool. The stretch fabric makes it feel lovely to wear. The V-cleavage with neck overlap will cling to the skin, so it won’t fall open to reveal anything you weren’t planning to. 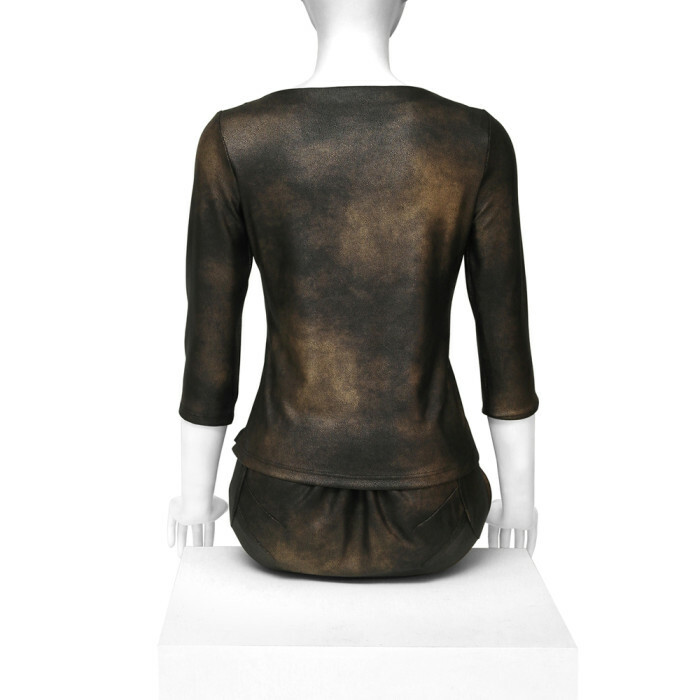 Copper coloured two-part dress Mercedes made from leather look stretch tricot (82% PL 14% Vi 4% I ). 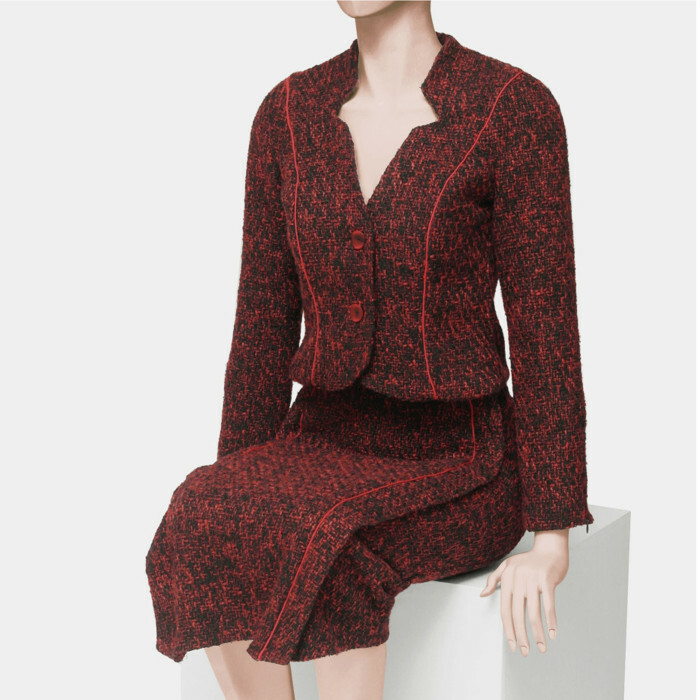 The skirt made up of curved panels fitting the seated body.The skirt length falls over the knee.A front skirt open-end and invisible zipper allows the skirt to fold open completely. 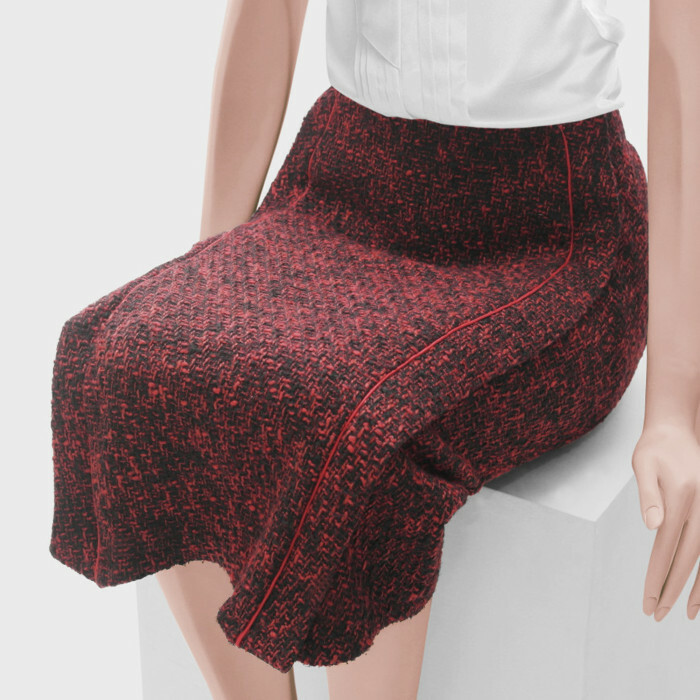 The back of the skirt is cut high and elasticated for adjustability; the front sits low and doesn’t gather in the groin area. Cleaning : Hand wash recommended using mild, bleach-free detergent. Cool at 30°C (one dot), not tumble-dryable, warm iron without steam (two dots). Wash dark colours seperately. If your machine has a gentle hand wash program for real delicates, it should be fine — but no guarantees.